The Behringer X-Touch Control Surface is designed to seamlessly integrate with your existing equipment and allows you to expand your setup in both live performance and studio environments. 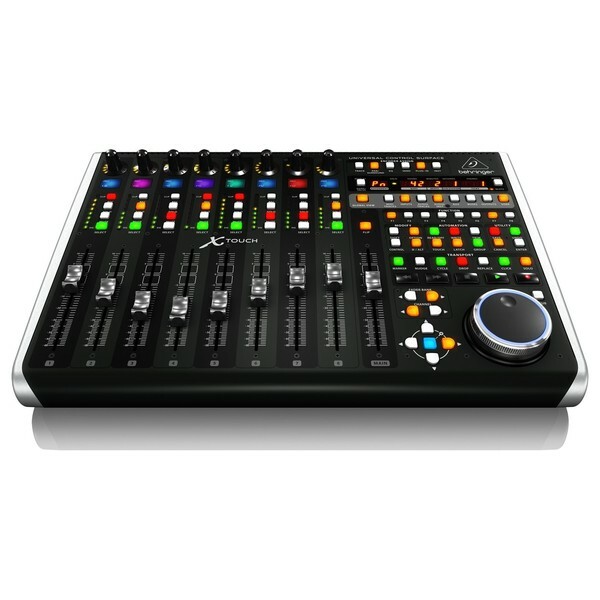 Featuring 9 touch-sensitive motorised faders, 8 dynamic LCD scribble strips, 92 illuminated buttons and 8-segment LED meters per channel, the Behringer X-Touch provides precision control and an intuitive view of critical mix parameters. 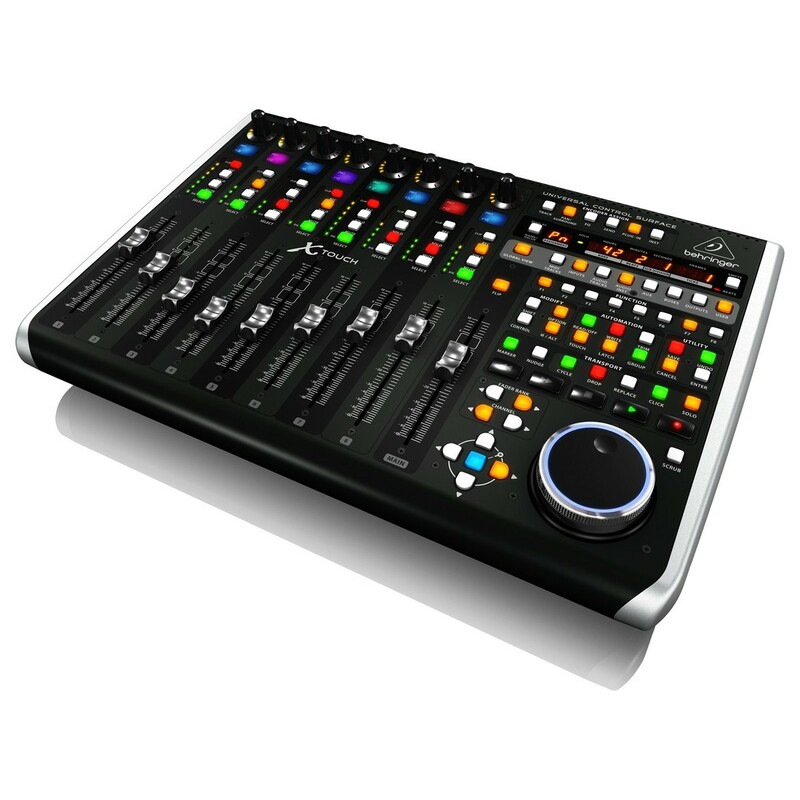 Complete with a built-in 2x2 USB MIDI interface, the X-Touch Control Surface can be used with Mac or PC computers and one external MIDI device. The X-Touch is equipped with a plethora of tools designed to bring the flexibility of your DAW right to your fingertips. 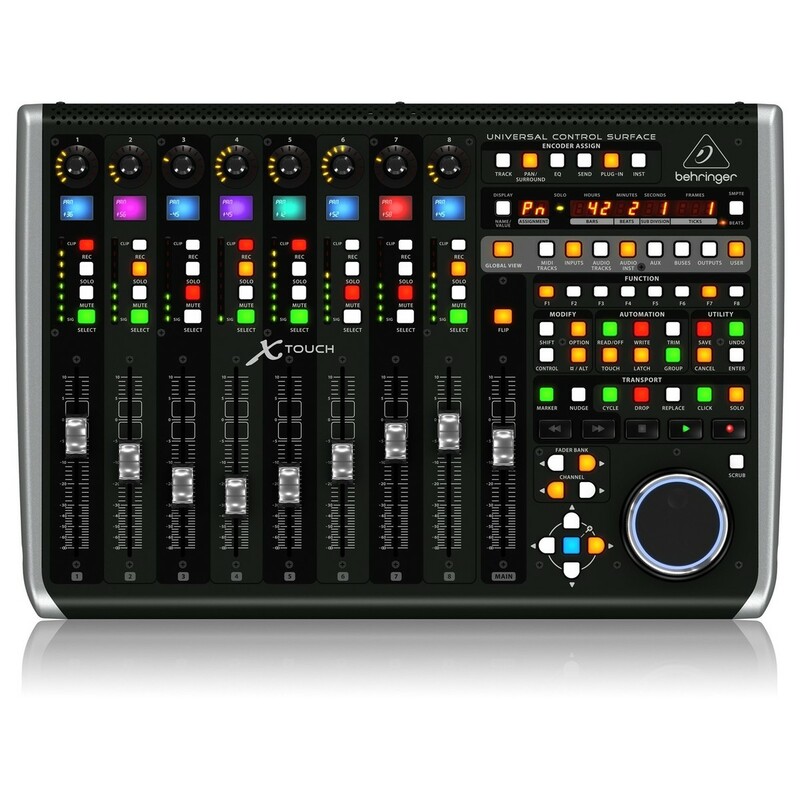 With 9 touch-sensitive motorized faders, 8 dynamic LCD scribble strips, 8 rotary encoders, 92 illuminated buttons, 8-segment LED meters on each channel, and dedicated transport controls, the X-Touch allows you to achieve incredible in-depth physical management over your projects. The X-Touch enables you to make precise adjustments of critical parameters whilst providing you with a clear and efficient workflow. This powerful and intuitive design supports HUI and Mackie Control protocols, allowing for seamless integration with all compatible music production software. 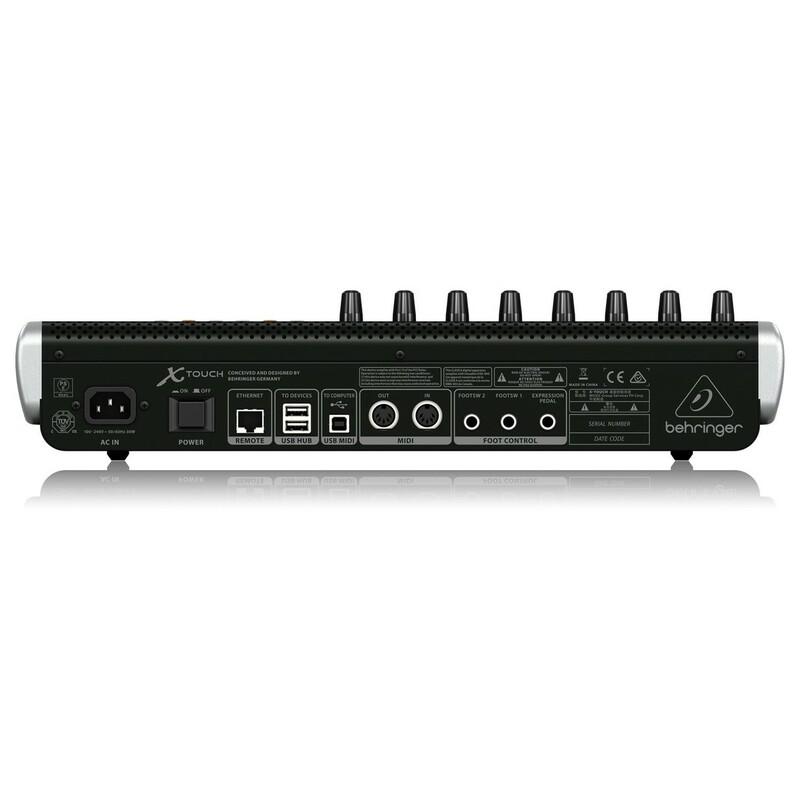 The X-Touch is also equipped with a built-in 2x2 USB MIDI interface for connecting to your Mac or PC, as well as one external MIDI device. The X-Touch is incredibly elegant in both its technological capabilites and its aesthetics. The sleek design plays host to 9 fully-automated and touch-sensitive 100mm motorized faders that react in real-time to any movement or automation you carry out, perfectly synchronised with your DAW for immensely accurate results. The X-Touch also features a large jog/shuttle wheel, as well as tape-style transport controls that deliver a familiar feel with modern-day precision. This ergonomic controller offers an efficient and effective workflow that is perfectly suited to a wide variety of applications. The X-Touch's user-friendly interface features handy LCD scribble strips at the top of each channel fader. These scribble strips provide instant visual readouts of the tracks and parameters that you are working with. The X-Touch is also equipped with over 92 dedicated illuminated buttons, 8 rotary controls with vibrant LED collars, 8-segment LED meters on each channel, and an LED time code display. This extensive selection of lighting provides intuitive visual feedback as well as quick-references for track/parameter statuses in environments where lighting is sparse. The X-Touch enables rapid and satisfying physical control over your project, dramatically improving workflow efficiency within your DAW over the use of a mouse. The X-Touch boasts class-compliant USB functionality, ensuring that your controller is instantly recognizable across Mac and Windows computers. As well as USB capabilities, the X-Touch features a 5-pin MIDI port, enabling you to utilise an external MIDI device, and an Ethernet port for connecting across a wireless network. Dedicated footswitch connectors plus a single foot controller also provide you with the ability to control the X-Touch remotely, whilst a powered multi-TT USB hub allows you to connect up to 2 extra controllers for additional functionality and expansion. Designed as one of the fastest and most user-friendly DAWs in the world for a wide array of purposes, Tracktion is perfectly suited for use with the X-Touch. When you register your X-Touch at behringer.com, you will qualify for a free download code for the full version of Tracktion. This powerful software package is packed full of a huge selection of professional DAW features including dynamic automation, unlimited track count, MIDI recording, and full VST/AU plug-in support. Tracktion is an incredibly flexible tool, perfectly suited to musicians, composers, artists, engineers and more.